The deal signifies the latest toy marked for development as part of Mattel’s new push into screen entertainment. Mattel Films, the feature arm launched late last year by the El Segundo-based toymaker, and MGM will co-produce the film. Robbie Brenner, Mattel’s head of film, and Cassidy Lange, MGM’s co-president of production, will oversee development. No writer or filmmaker is attached. 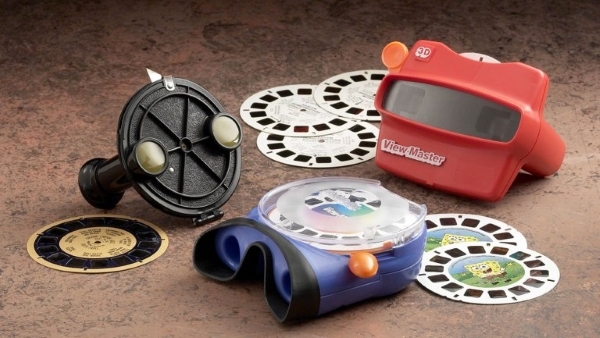 View-Master, a stereoscopic eye device, launched at 1939 New York World’s Fair, bringing 3D images of tourist attractions to the masses. It exploded in popularity in the 1950s and became a childhood staple when a licensing deal with Disney was struck. Deals for other movies and television shows soon followed. Mattel acquired the brand, which by then had expanded into audio and projection, in 1997, due to its merger with Tyco. Modern View-Masters now involve smartphone tech as well as VR. Continuing the grand tradition & broadening the scope of the IEEE International Games Innovation Conference (IGIC, 2009 – 2013), IEEE Games Entertainment & Media (GEM, 2014 – 2016), and last year’s event held at the National University of Ireland Galway, we are excited to announce the 2019 IEEE GEM conference will be hosted at the Center for Collaborative Arts and Media, at Yale University. 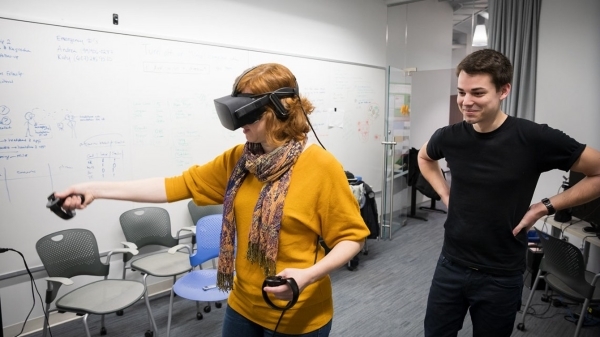 This year’s conference will include a new platform for the exhibition of performances and experiences that utilize the emerging fields of Motion Capture, Virtual Reality, and Augmented Reality with a particular emphasis on pedagogy in these areas. IEEE Games Entertainment and Media 2019 is continuing to accept papers, projects, and artworks. Submissions can take the form of Full Papers for most tracks, Abstracts for those in the medical field, and Projects for exhibition proposals. Our goal is to make this a totally immersive conference, with demos and experiences available throughout the venue as well as those included in a curated exhibition. We will have a non-juried track for people with accepted papers to submit examples of their work to be viewable and/or playable in the space, with the hope that everything you hear about during a session is also something that you will also get to see or do. Emily Walling eyed an empty West Houston home that was soon to hit the market. Then, with the click of a mouse, she dropped a table and six wooden chairs into the dining room. Another click, and up popped a China cabinet, its shelves lined with martini glasses and dishware. Later, she could edit the cabinet so it appeared to be stained the same color as the table. 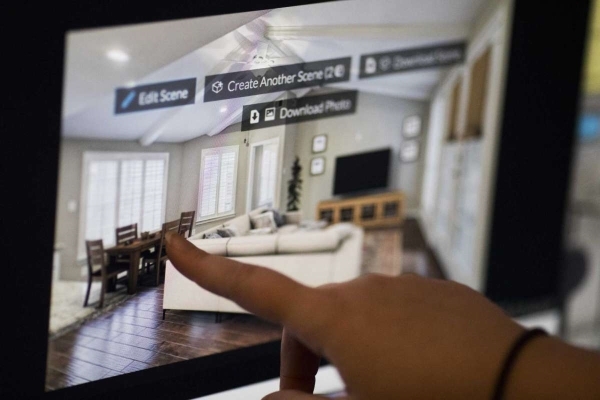 Virtual staging — the practice of populating images of real homes with digital furnishings — is on the rise. The number of Houston-area listings on Redfin disclosing that the house had been virtually staged rose to nearly 200 last year from just one in 2013. And at TK Images, the real estate photography company where Walling works as a photo editor, demand for virtual staging services more than doubled between 2017 and 2018, with the company processing more than 700 photographs of empty rooms last year. The result can be astonishingly realistic and achieved at a fraction of the cost and time associated with a traditional stager. While traditional staging companies charge homeowners $500 to $600 per month per room, according to the National Association of Realtors, virtual staging companies such as TK Images charge $65 a photo. Gone is the need for sellers or agents to schedule times to let movers bring in temporary furniture; gone is the need for stagers to keep warehouses filled with couches, lamps and artwork. Demand is so high at TK Images that the company employs three people who start their day prepping photos at 2 a.m., uploading them to the photo management system and adding notes such as “client wants car next door cropped out,” so its seven photo editors can go straight to work when they arrive at 9 a.m. The company uses software that has an extensive library of furniture options — from couches and rugs to televisions and lighting — that may feel familiar to anyone who has played the life simulation video game The Sims. build relationships within the broader academic community from around the world. The Doctoral Workshop integrates the “publication retreat” which offers doctoral students the opportunity to meet reviewers and journal editors and gain mentorship on devising the most effective strategy for writing and submitting papers to top journal titles. The CONTEXT conference series has brought together researchers and practitioners from a wide range of disciplines and industries to present their work related to issues of context, contextual reasoning and context-awareness to discuss commonalities and diversities in the different disciplinary approaches. It is unique in focusing on context as a subject of study in its own right, and it has become one of the top venues for context-related research. CONTEXT 2019 is the 11th conference in the series and takes place in the wonderful region of Trento, where 20 years ago the international conference was held after the pioneering launch event in Rio de Janeiro (Brazil) in 1997. As in the tradition of the series, submissions are invited from a wide range of disciplines, including artificial intelligence, computer science, context-aware applications, ubiquitous computing, cognitive science and psychology, social and organizational sciences, linguistics, philosophy, and various application areas, including (but not limited to) finance, medicine & healthcare, virtual and augmented reality, food, sport, business intelligence, big data analytics, education & e-learning, law. All accepted papers must be accessible also to non-specialists, for example, by providing accessible discussions of the disciplinary prerequisites to allow those outside the discipline to understand the work. Papers of broad interdisciplinary interest will be presented in plenary sessions; all other papers will be presented in disciplinary sessions. A short paper describing each poster will appear in the conference proceedings, and some of the participants of the doctoral consortium will be invited to present a poster. Panels will bring together distinguished researchers in various fields to discuss interdisciplinary issues in modeling and using context. Best Paper and other awards, to be highlighted in the proceedings, will be conferred at the closing ceremony. Here’s everything you need to know about Microsoft’s next-generation mixed reality headsets. Comfort, better visuals, easier to use with your hands. That’s the takeaway from HoloLens 2, Microsoft’s follow-up to the Space Age goggles it announced four years ago. The technology behind the $3,500 HoloLens 2 device, which Microsoft calls “mixed reality,” overlays computer images on the real world. Imagine arrows directing you down the street as you walk, or repair instructions floating over a machine as you fix it. That’s MR’s promise, Microsoft says. 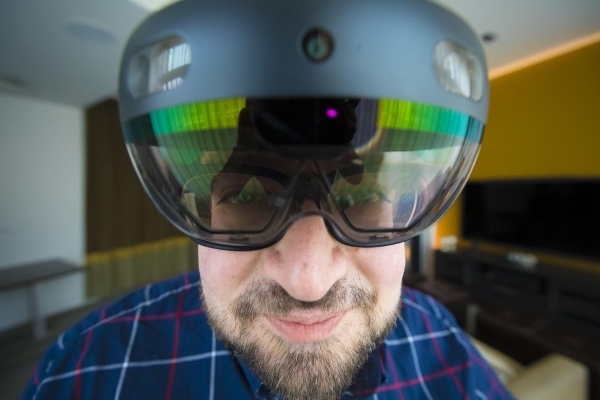 In HoloLens 2: Practical Magic, we share what it’s like to use HoloLens 2, its key features and where Microsoft is going next in AR … and why it’s aiming at businesses, and not the average person yet. Take a dive into what we experienced. Western Sydney University invites you to submit papers, abstracts, demos, and posters for the 25th Annual ACM Symposium on Virtual Reality Software and Technology (VRST 2019). VRST 2019 is the premier international symposium for the presentation of new research results, systems, and techniques among researchers and developers concerned with Augmented, Virtual and Mixed Reality software and technology. For the 25th silver anniversary of the conference, this year VRST 2019 will be hosted by Western Sydney University in Sydney, Australia, from 12 November to 15 November 2019. VRST 2019 is sponsored by the Association for Computing Machinery (ACM), SIGCHI, and SIGGRAPH.